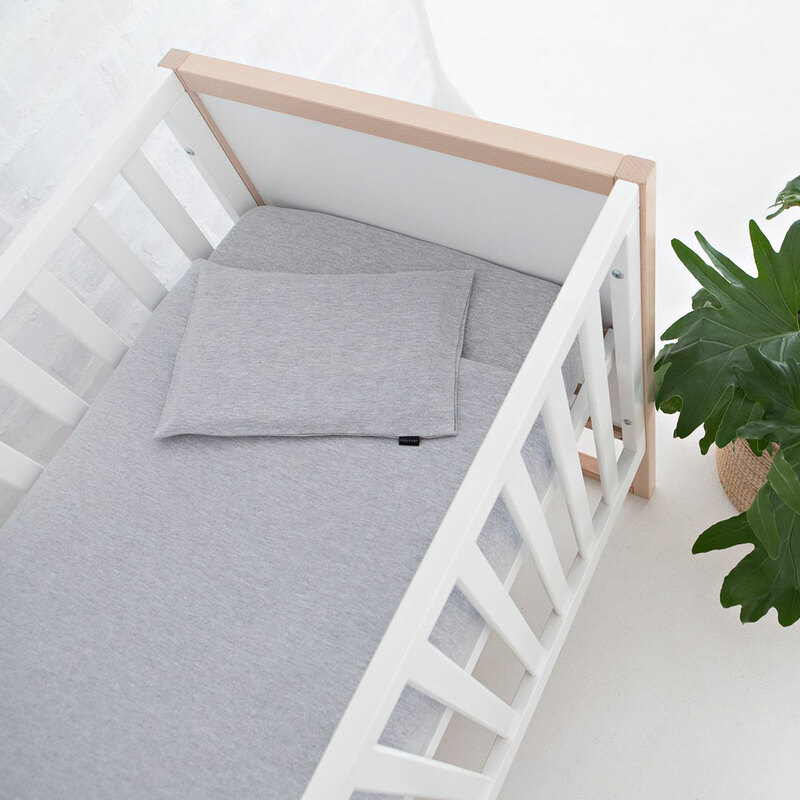 The indulgently soft Cot Fitted Sheet – White Jersey Knit by Lola & Peach is handmade in South Africa from 100% cotton jersey t-shirt fabric. 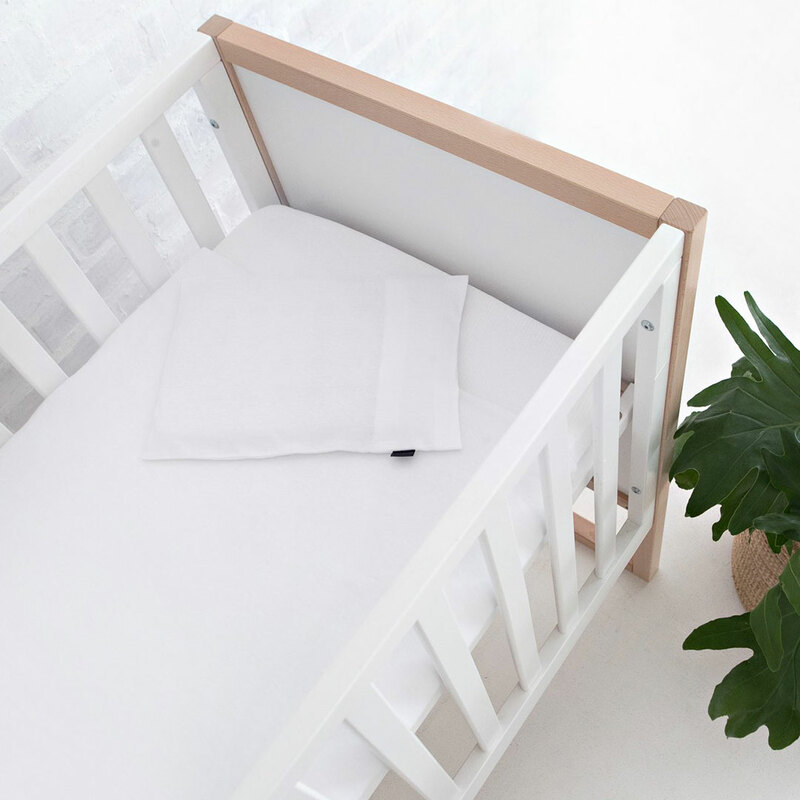 The indulgently soft Large Cot Fitted Sheet – White Jersey Knit by Lola & Peach is handmade in South Africa from 100% cotton jersey t-shirt fabric. 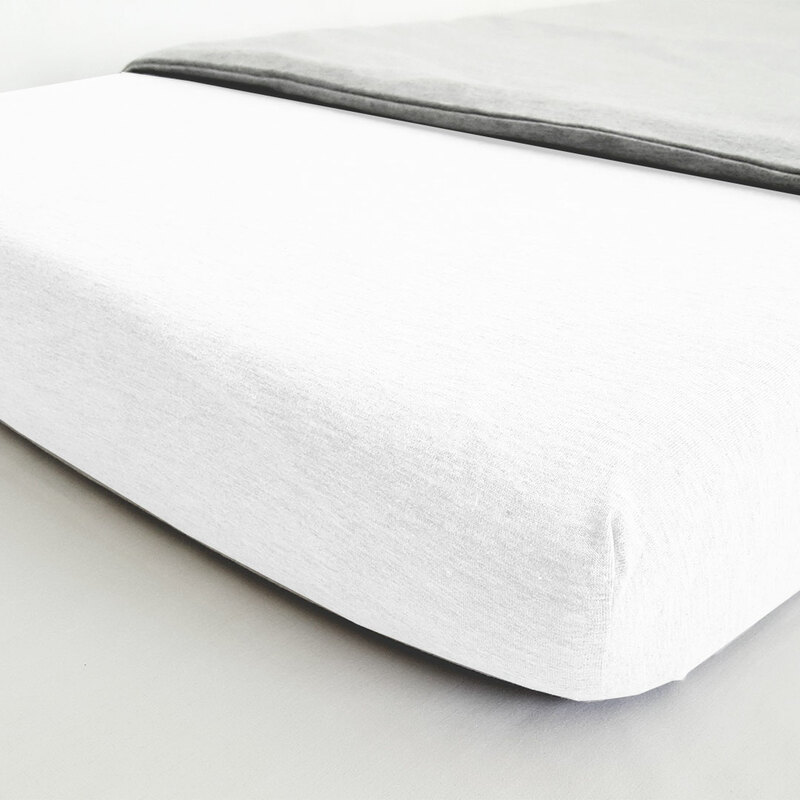 This cot fitted sheet fits an SA standard cot mattress. 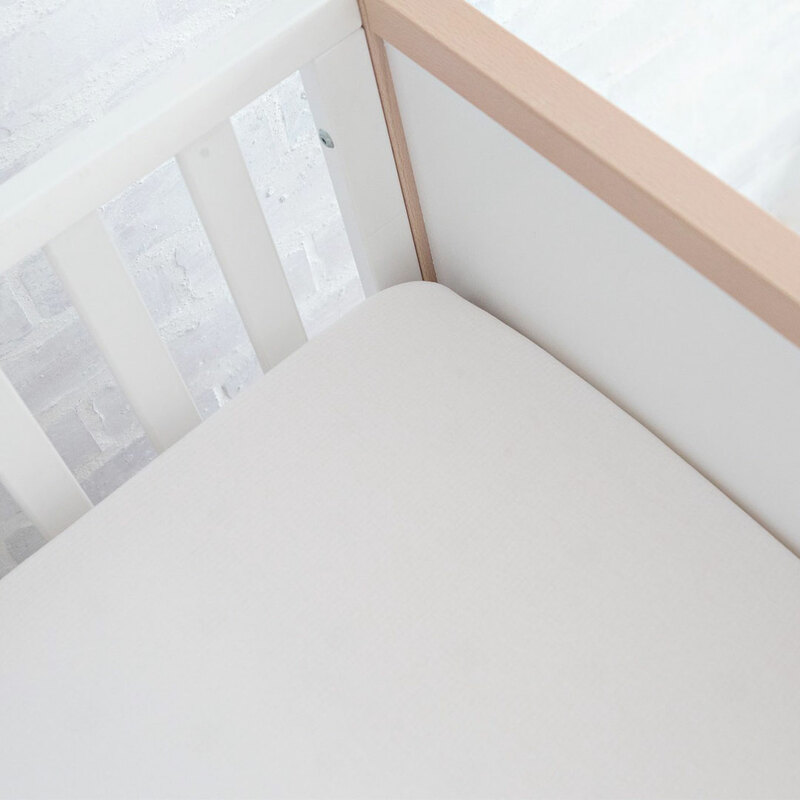 Its super soft and stretchy single jersey knit fabric is wonderfully comfortable for baby. The sheet is packaged in a cool matching drawstring bag for easy storage. 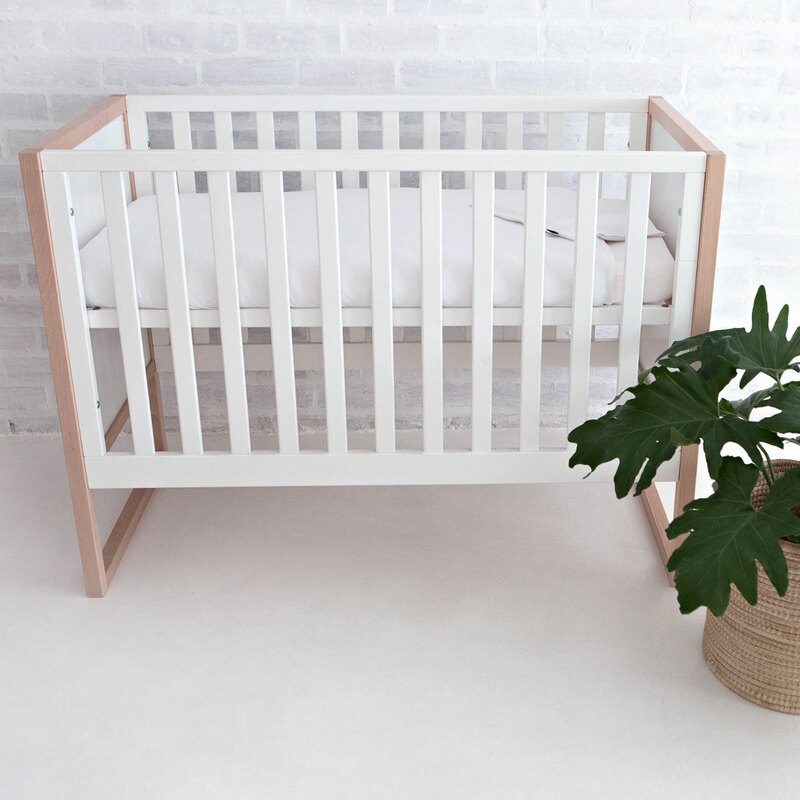 Available in two sizes – to fit SA standard cot 132cm x 66cm or European large cot 140cm x 70cm.